As a homeowner, I just want things that are supposed to work, to work. I’m not particularly handy, so when something breaks it always frustrates me. Even worse, if there’s a plumbing problem, it can damage a home. Or if the AC breaks down in August, heaven help us all. Frankly, there’s never a convenient time for a major system in your home to break down. 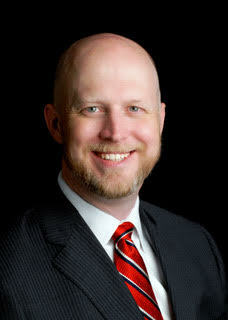 In today’s sponsored post from Reliant, we discuss one option to address this. 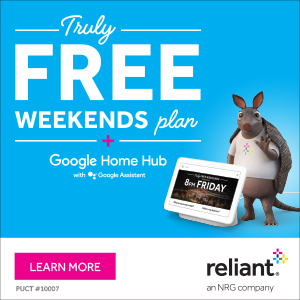 Reliant has created a package to help protect your home from potential AC, heater and plumbing issues. 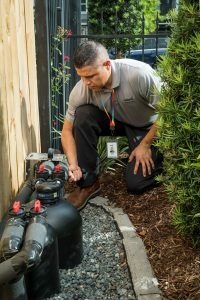 The idea behind the Reliant Home Maintenance Package is to alleviate the stress of the homeowner who relies on their major home systems to perform all year long. For $249 a year, a homeowner can enjoy the benefits of a full plumbing inspection once a year, two seasonal air conditioner or heater tune-ups per year. Although such a service cannot fully guarantee there will be no unexpected problems with your home, it can often find problems before they happen. There is nothing worse than waking up in the middle of the night to rain showers falling onto your bed. Which has happened to me. When the water heater burst about a decade ago in the attic. For thousands of Houston area residents, the aftermath of Hurricane Harvey remains a day-to-day grind as repairs continue on damaged homes. For others, memories of the storm are receding as fall finally descends upon Houston. 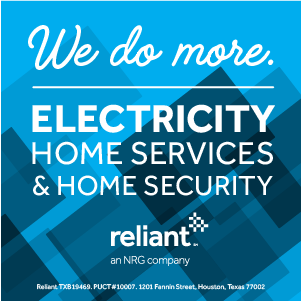 As a reminder for those still recovering from the storm, our sponsor, Reliant, offers home repair services, backup generators and even home security. This month’s post about Reliant, however, will discuss the area of water filtration and plumbing. You drink water, bathe in it, and use it to wash your clothes and dishes. You deserve water that’s clean, safe and refreshing. Although the city of Houston, and other regional providers, offer safe, clean water there are additional options for further water purification. Reliant typically recommends and offers a whole home filtration with a salt-free water softening system. Why consider this? These systems are eco-friendly, don’t waste water, don’t use electricity and don’t discharge anything into the environment. Water filtration systems can normally be installed in one day, either indoors or outdoors. All water purification systems installed by Reliant are backed by manufacturer warranties and maintained by Reliant’s trained professional team.